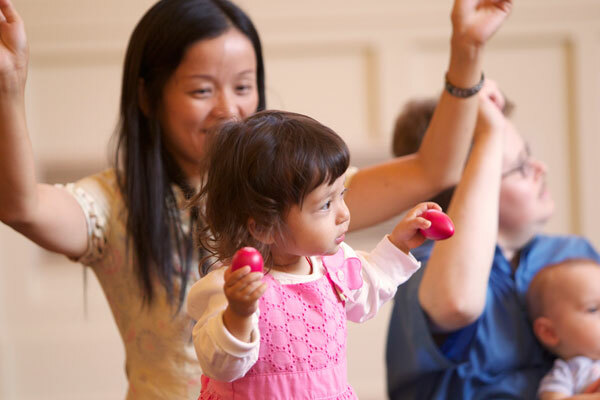 A Music Together class includes 45 minutes of singing, moving, listening, improvising and exploring musical instruments in a playful and relaxed atmosphere. Class size ranges between eight and twelve children and their parent or caregiver. Whatever their own musical abilities, adults help to create an environment that supports each child in developing his or her love for music, as well as basic competence in musical skills. Class tuition includes one of nine professionally recorded song collections; the song collection includes a CD, downloadable music and a beautiful songbook for family music-making at home.